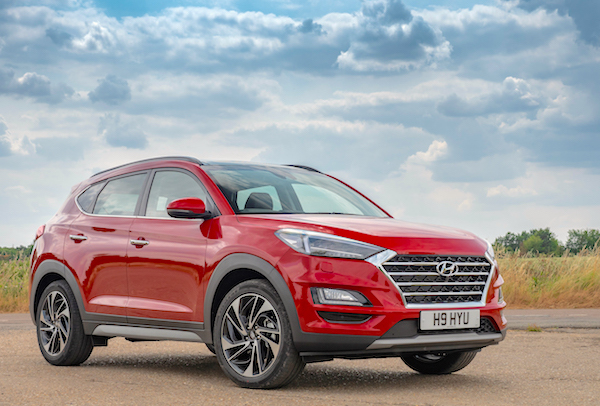 The Hyundai Tucson remains #1 in Ireland despite losing 18% year-on-year. Consult 45 years worth of Irish Historical Data here. It’s a second consecutive year of decline for Irish new car sales in 2018 at -4.4% to 125.557 registrations, and the origin of this prolonged depression is to be found next door in the UK: faced with dropping demand in an uncertain Brexit context, the UK has over the past two years made Ireland a dumping ground for 0km used sales (they shot up 29% in 2017), in return cramping the local new car market. Irish sales continue to revolve around two main months: January (37.070) and July (26.923) when new, dated license plates are released (181 and 182 this year), accounting for 51% of annual sales like in 2017. The brand leader remains Volkswagen (-0.4%) improving its share to 11% thanks to a minimal drop, followed like in 2017 by Toyota (-5.1%) while Hyundai (-2.5%) overtakes Ford (-7.8%) to climb on the annual podium. Peugeot (+43.8%) is without contest the best performing carmaker in Ireland in 2018, leaping up 4 spots to break into the Top 10 at #9. Kia (+2.7%) and Skoda (+1%) are also in positive in the remainder of the Top 10 whereas Renault (-13.8%) and Audi (-11.3%) sink. Tesla (+135.3%), Jeep (+64.3%), Mitsubishi (+16.2%), Seat (+11.7%) and Lexus (+9.3%) stand out further down. The Nissan Qashqai misses on its very first Irish crown by just 22 sales. 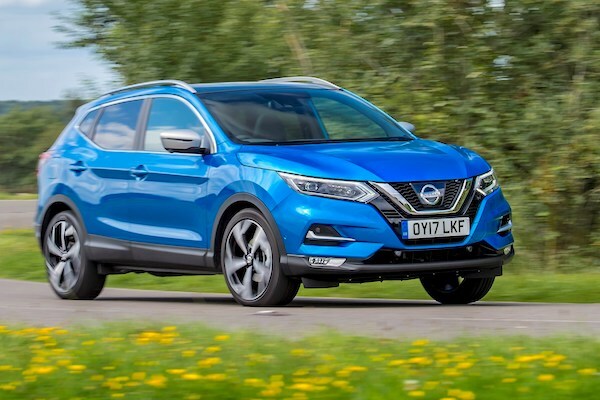 The models ranking is the theatre of a last-minute twist: while the Nissan Qashqai (-4.6%) had held the YTD spot since March, a sales revision in December sends the Hyundai Tucson (-18%) to a third consecutive annual win with a minuscule 22-unit advantage despite posting a second consecutive double-digit loss. The VW Golf (-11.8%) drops one spot to #3, the Ford Focus (-1.9%) is up one to #4 and the Skoda Octavia (-15.7%) down one to #5. The VW Tiguan (+15.9%) at #7 and Toyota C-HR (+27.4%) at #10 post the only year-on-year gains in the Top 10, yet there are 7 such gains among the 8 following best-sellers: the Peugeot 3008 (+90.6%), Nissan Micra (+30.8%), Ford Kuga (+18.3%), Toyota Auris (+12.6%), Dacia Duster (+12.1%) and VW Polo (+11.3%) while the Hyundai Kona (+65100%) ends its first full year of sales at #17. Notice also the Peugeot 5008 (+663.8%) at #31, the VW T-Roc (#33), Skoda Karoq (+6687.5%) at #38, Kia Stonic (+1417.6%) at #40 and the Seat Arona (+6592.3%) at #47. Full Year 2018 Top 35 All-brands and Top 275 All-models vs. Full Year 2017 figures below.